When I first began this website about 15 years ago, I wanted it to be a place where I posted my sermons and Bible studies. You can still see some of those here: Old Sermons by Jeremy Myers. Somewhere along the way, my life fell apart, and I began to question a lot of things. To help me sort things out, I decided to question all the theology I had ever been taught. Things were going well, until I started to question everything I had been taught about the Bible…. then everything fell apart. A few years later, I thought I had finally settled somewhere new, and decided to return to my life goal of writing a commentary on every book of the Bible. This led me off on a wild rabbit trail of trying to make sense of all the violence of God in the Bible in light of the death of Jesus on the cross. However, I eventually gave up (several times) on this as well. Scripture said what it said, and I could find no way around it. So now I am writing on something “safe”: The debate between Calvinism and Arminianism. Ha! The truth is that I think I need to go all the way back to the beginning and start over with the Bible. The problem appears to be that the Bible may not be what I think it is. Or maybe I can put it this way: The Bible doesn’t do what I want it to do. The Bible does not provide what I want it to provide. The Bible I want does not seem to be the Bible I have. This is why I have been reading a lot of books recently about Scripture. I know other scholars and theologians are asking similar questions, and I want to know what they are thinking on these issues. Peter Enns and HarperOne recently sent me a review copy of his newest book called The Bible Tells Me So. I reviewed this book yesterday. For now, I found the book incredibly encouraging and hopeful, but at the same time, not too helpful. Or maybe, I just didn’t like the answers that Peter Enns offered, and it will just take some time to come to terms with it. Do you struggle with Scripture? Where are you at on the whole discussion of inerrancy, inspiration, and the authority of the Bible? Have you read any good books on the topic recently which really helped sort things out for you? Please share your thoughts in the comment section below. Have you read Rob Bell’s “What is the Bible” series? I’ve read a bit of it and thought it was really good. But yeah, I feel what you’re saying. I’m at a similar spot right now where I don’t feel very comfortable with just about any of my spiritual beliefs – more Bible reading exasperates the issue more than helping it often. Yes, I have read most of that series. It is REALLY good. Raises more questions than answers, but that is Rob Bell’s way…. The more I study the Bible, the more I realize how truly wonderful it is that I can hold God’s Word in my hand as the Holy Spirit guides my understanding of it. The more I study the Bible, the more I realize how comforting and safe it is. The more I study the Bible, the more I realize how the medieval Catholic church was not a church at all, and how they conspired to keep the Word of God from the common man so they wouldn’t lose their power of oppression, which they past on to the other sects based on their teachings. The more I study the Bible, the more my theology melts away and is conformed to the truth by the Holy Spirit. The more I study the Bible, the more I rely on sound scriptural exegesis and realize how important that really is. The more I study the Bible, the more certain I am of it’s trustworthiness, accuracy, and usefulness for my daily life. I guess I agree with most everything you wrote also… ha! I feel a bit schizophrenic about the Bible. Jeremy, let me ask you a question(s) if I may. Please bear with me on this. You wrote: “Or maybe I can put it this way: The Bible doesn’t do what I want it to do. The Bible does not provide what I want it to provide. The Bible I want does not seem to be the Bible I have. The question is: Why? Why do you want “x”? And why do you care what other scholars or other theologians think? Who labeled you a scholar or a theologian anyway? Why not just go one on one with God? Why not just put away all of the books, box them up and put them away in a closet, and just spend time alone with God and His Word? Why do you need all of that noise in your mind? Have you considered that all of the stuff you allow into your mind from the outside, in the form of the media you consume, just might be part of the problem? That it might be the problem? There was a time about 3 years ago now that I took that exact step, because all of the noise was hiding the voice of God from me. Plus, I wasn’t exactly listening. So I put all of the books away. Got down to just a bible and my journal and me. I put away all of the Christian media, christian sub-culture, radio, tv, etc. All of it. I went on a technology sabbatical too. Maybe you need to strip away all of the noise. Just a thought. I know it helped me. Doug might be onto something here. It is so easy to make idols out of ideas. We believe in things about God but we don’t believe in God. I hear what you are saying, and I think I understand where you are coming from. Ironically, it seems you are saying that rather than listen to the input of these other Christians, I should listen to your input. No, I am not saying that at all. It’s not about listening to or not listening to the input of other Christians, in book form or not, via media or not. It’s about static & noise. It may be that we are really afraid to be alone with God. It’s like coming into an empty house. When my wife is gone for the weekend, how often I turn on the TV and need to have noise. I wonder if, sometimes, we prefer the noise (theology, books, media, Christian conversation) about God to spending time alone with God. I found that there came a point where the noise was so ubiquitous and familiar that I could not / did not want to hear the voice of God. Did not is probably more accurate. So I stumbled across Rev. 2:5 and realized I had left my first love, and was instructed to go back and do those things I did at the beginning, before I got so educated. I put the books away, and spent time with believers who didn’t seem to need them and functioned just fine. I took note of those who did not know and did not care about any of the things I was all fired up about theologically speaking. These people did not follow the gurus I was following. They did not read the books I read, or engage in the debates I was having. They did not know nor did they care about any of it, and they functioned – key word there – as believers just fine. So, I decided to follow their lead and see where it took me, which is a story all unto itself. I asked myself: Am I the problem? Maybe I am broken and the Bible is not. Why are those people over there perfectly happy with their brand of Christianity, and I am not? That’s when Doug 1.0 came to an end, and Doug 2.0 was born. I see. I misunderstood what you were proposing. The truth is that I often do what you suggest. Sometimes for short periods of time, sometimes for longer. And as a result of those times, I firmly believe that through His Spirit, Jesus is inviting me to read the books I read, ask the questions I ask, and interact with the people I interact with. As I do, Jesus is teaching me more and more about Himself, about God, about the Bible, about myself, and about this world. A couple of books I’ve read recently knocked my previous paradigm off-center: Timothy Michael Law, When God Spoke Greek, and Craig Allert, A High view of Scripture? I followed a similar path to the one you describe, Jeremy, tho it took me longer. 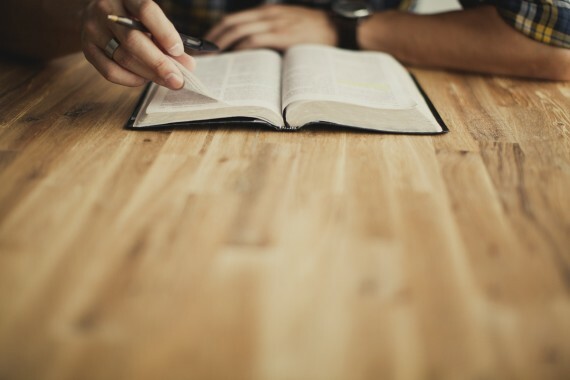 My solution for now is that I forgo Bible study, which often results in me going to the same old texts, seeing them in the same old ways I was taught to think about them, and focusing on far too narrow a sample of Scripture. Now I tend to read wide swaths, and to prayerfully let my mind associate other Scripture which might raise questions with what I think the reading says. Or, I might read someone who will speak a different view than I was taught to hold. It’s been very refreshing, and led to a different, much more vivid prayer life and ‘witness’ in my life. You say: “The truth is that I think I need to go all the way back to the beginning and start over with the Bible”. That’s a very good idea but with one crucial exception. The “start over” needs to be with Christ’s permission first! On that amazing occasion on the “Mount of Transfiguration” our heavenly Father commanded disciples to “Hear Him!” Not Moses. Not Elijah. Nor the rest. Jesus is the one who began and paid for our salvation. Some decades ago, kneeling on the kitchen floor of our first house, alone at 2 am, wife and kids in bed, I repented and received Him – and everything that is to do with Him. After all, who else has the words of eternal life? As Peter said, “Lord, to whom shall we go? You have the words of eternal life, John 6’68. And they are words that bring spirit and life. My fatherly advice to you Jeremy would be: Start over with Jesus. Receive Him in totality. All that He says, believe. Whatever He says, do. I am with You Jeremy. If you study all the flaws in scripture, the theological inconsistencies which are everywhere, the obvious different writing styles and favorite words, phrases and themes of the various writers, the typo errors (like 1Corinthians 14:22), the differences in reporting (wqs there really one Gadarene demoniac or two), and hundreds of other problems, you start to understand why there are more than twenty thousand denominations in the state of California alone, all of them claiming the truth. There is no way I can believe in the dictation theory of inspiration. I will no longer take the words of some 40 different writers with their different viewpoints, and human inconsistencies and stuff these words into the mouth of God, calling it “The Word Of God”, a term which the Bible itself never uses to refer to itself. The Bible has tremendous value without the need to make it what it isn’t, and you and I can be every bit as evangelical using it. I use to attend a church where they chant every Sunday “This is my Bible. It is God speaking to me….. Aside from the the fact that this makes the Bible the fourth member of the Trinity (a complete heresy) it tends to lead to very weak Christians who think that they just have to pick up a book and read it and they have heard from God. God may indeed speak through that book at times but it itself is not God. One of my problems is that I feel kind of like this and that is why I almost never read my bible anymore. How would one start doing this again without all the static noise? I do read books of people writing over scripture, so I was interested to hear about the books of Peter Enns and would love to read them. Mhh. The more I studied the bible, the more I realized we were never meant to follow a book…we were meant to follow our hearts. If scripture is not what it purports itself to be, then, it is not. Paul said in 2 Timothy 3:16 ‘ All scripture is given by inspiration of God, and is profitable for doctrine, for reproof, for correction, for instruction in righteousness:’ , well if that is not true, then it is not true of the whole. I don’t pretend to say I understand it all, make sense of much of it or always get what it says. It is the only book in the world like it…it has to be, once it quits being it, meaning the Word of God, it is of no use to us. If any book, or any sacred scripture is on equal footing with the Bible, then all is lost! If the Bible is not what it claims for itself, then all is LOST! Questioning its claims, the interpretations of its passages and asking HARD questions (such as your violence series) is proper and legitimate, but we can never take the INSPIRATION out of the INSPIRED! I never understood the logic behind the argument that if some of the parts cannot be trusted, then none of it can be trusted. Also, if one doesn’t understand it all, and if one cannot always get what it is saying, how can he be so sure that his assumptions of the nature of the bible are correct? What does it mean for the Bible to be “inspired”? Is the Bible meant to be “authoritative”? If so, how? This logic is what causes wars and disputes among you. Here is an opinion that came out of my fingers a few weeks ago. The Bible is a record of encounters in a long story over millennia, a kind of Festschrift for God, a series of anecdotes, poems and stories about the perceived presence of the Holy. The Bible may be wrong in our experience about what is implied in the story, but it is not wrong to have included the story. And what it says about presence is what we know from other hints – from the cosmos, from beauty, from music, and so on. The Bible like any other religious book whose adherents worship the text must be brought down from its idolatrous pillar. God is Spirit, after all, and God seeks worship in Spirit and in Truth. Yes – some words are spirit and life – but do you discern which ones and how they give life? Read and worship with the whole mind. All is not LOST. But we fail to be found when we hide among the trees because we think our ideas are what controls the cosmos for us and for others. Such logic is simply a power trip and it is therefore false. When my doctrine is first, I cannot put love of God and love of neighbour first. Jeremy asks: Where are you at on the whole discussion of inerrancy, inspiration, and the authority of the Bible? Inerrancy is a total distraction from the call of Scripture to us. It is a completely false doctrine designed to tie you in knots. It is a false god. Do I struggle – of course. I must struggle – but in his anger is but a moment and lives are in the acceptance of the Most High (Psalms 30.6 Hebrew numbering). And the Psalmist poet knew this acceptance. The poet was not a Calvinist. He hadn’t even heard of Calvin. There are millions of others who copy the religious doctrine of inerrancy with a text other than the Bible – for some it is the Koran, for others the sung texts of Guru Nanak and so on. This is not the substance of belief or of faith – yet it may point to that substance. What is the substance? It is a form of obedience (as Paul notes in the frame of Romans with his phrase ‘the obedience of faith’) but it is not any form of abject credulity – yet if we metaphorically learn how to be abject (falling at the feet of the Beloved) we will not be disappointed. But we must become like him – caring for the oppressed (see Psalms 146) and not bringing others under the oppression we have chosen for ourselves! A thought that arose as I read your comment: The debates over the inerrancy of the Bible – are they not just camouflaged debates about the inerrancy of my or your or whoever’s interpretation? And if the history of Christians and Jewish interpretation of the Bible has shown us anything, it is that interpretation and the interpreter’s context can never be severed. We read Scripture from our own cultural vantage point, much of which is below the level of the surface of the conscious mind. Scary, isn’t it? Especially if one considers Jesus’ words that it’s the truth that will set one free. Thanks for the link. It certainly serves to stimulate thinking. There can be no doubt – we need to spend more time with the Bible than with books, television programmes, etc. about the Bible. I noted Ephraim Currier’s 1841 statement in a comment on a previous post: “If it is important that we have the Bible, it is important that we understand the Bible.” It seems that there are many going through similar struggles. The Bible has been used by many to achieve their ends. It is a tool, sometimes a weapon. The Bible is often a looking glass that shows the reflection of the one looking. Listen to their explanation of the Bible and you will know who they are, but probably not who Jesus is. There are some, however, who find that the Bible can be a window. Look and see Jesus, God enrobed in flesh. Look and see who we can be in Jesus. Look and see why Jesus told us to love God and our neighbors as ourselves. Don’t focus on the ripples in the glass, the smudges on the glass, or you may miss what lies beyond the glass. The Bible becomes whatever the one who holds it in their hand chooses to make it, a looking glass, a window, a weapon, a tool or merely a shiny bit of something to be tossed on the ash heap of life. Each of us chooses. As you may suspect, Jeremy, this is all part of a riddle. But is not life a riddle, and where might we hope to find the solution to that riddle? We seek the answer to the riddle with our minds, but the answer lies elsewhere… it lies in the heart. This thing is above all things. It is the most powerful force in the universe. It is the epitome of all revelation. It is the greatest command. It is the golden rule. It is the new command. It fulfills the law. It covers over sin. It never loses its power, and it is the essence of that which we call God. That of which I speak is simply…love. Yes, Sam, I am beginning to see that life is a riddle, a bit like Scripture, and the purpose of the riddle is not the find the answer necessarily, but to struggle with the riddle in love along with others. We suppose that a riddle must have a solution. Consider this – Perhaps the struggle to solve the riddle, the journey, is really the point of the riddle. Other times, the point may even be to discover what question the riddle is asking. All of this has an enormous bearing on how we understand life, time, Scripture and religion. The answer lies before us, but we do not recognize how it can be the answer. We think it more profitable for us personally to continue to look for the answer and to help others to do the same. Wow – lots of comments from the heart by people trying to find answers. For me, people who have studied the languages and cultures of the Bible can shed light underneath some of the stories and bring them to life as I see how what is written fits into the life back then. Yet Brian McLaren shone a floodlight for me when he wrote (approximately) The Bible is not the authority, God is’ – and this freed me on to the path of discovery that I am still on. I nearly turned my back on the faith over this type of Bible use. The Bible is a book of people trying to make sense of life and God’s breath in it. Interestingly Zondervan (I believe) are publishing a brand new NIV study Bible which relates notes from the original language and culture underpinning the stories. The Bible is written by people inspired by God to explore their thoughts and feelings and perspectives on life as they lived it. Life continues in a different time and culture but people and time and culture have common strands to be discovered with God to bring out the basic Truths and whispers he wants to share with us – and He tends, for me, to have a permanent whisper – God very rarely shouts in my experience. We are called to allow God to penetrate our veneer of time and culture and touch us at the heart of our soul which is not linked to either. It is hard, funny, tear-jerking and we shall never arrive as the Bible is about God who is this side of death too big for our human brains to hold yet in those moments of inexplicable connection with nature, grief or joy, precisely God in essence – passion. Words get us going round in circles. We are called to be children and the best way a child learns is by experience – the Bible is a guide, a precious gift like a map to a traveller, but if seriously searching, a child of any age can meet God……with or without the Bible. But since we have this gift, we have to unwrap it as best we can in the presence of God who probably gives it as a different gift for each of us???? I love your thoughts there at the end of your comment. The swirling dust of thought describes my experience perfectly. Perhaps because the Bible is not a book it is a love letter. A portrait of God in Christ by the Spirit. An offering poured out in words showing what has happened in flesh. Intimate, beautiful and overflowing with the Father;s goodness, a passionate, glorious communion of love. Hmm. Yes, maybe. I wonder if rather than a love letter, we could say it is a love story? You are definitely not alone. This is something that I have struggled and continue to struggle with. I too am enjoying the “What is the Bible?” Series by Rob Bell. I think that the main issue is trying to deprogram what we have learned. We know something isn’t right with what we know. But, we are entering waters that most people are afraid to enter. When we do enter the waters we don’t know where the dangers are and so we tread very carefully. I have no answers about the inerrancy of Scripture, or inspiration of it. I am reading N.T. Wright’s book “The Last Word.” It deals with the authority of Scripture and a different way of understanding it. I think that the best way for us to work through this in community with people around us who see understand our struggle and those who think differently than us. We can challenge each other and encourage each other too. I am interested in seeing how this journey plays out. I am also interested in more on the Calvinism and Arminianism discussion too. Keep on keeping’ on! Interesting posts (this and the previous one) and conversation. I grew up in church and a family that took the inerrant view of the bible – and as an adult, I studied it – led in depth Bible studies where we dissected it to death. I viewed it as the “Word of God” – infallible and inerrant. I began a systemic study with a goal of writing a study guide for each book in the bible. (Embarrassingly arrogant to me now.) I created timelines and study aides…..and then everything to do with my church world shattered with the stark unmasking of a lifelong predator in the pulpit. And that led to a period of nearly 2 years when I didn’t even pick the bible up. It had become, itself, a source of static – of noise (as others have termed) because of a lifetime of preachers voices being attached to nearly every chapter. It took that long to get to a place where I could read it without having those interpretational voices overriding any attempt at honest evaluation. Fair warning: if you approach the bible with the intent of asking God to explain it, you may not get the answers you expect or want (in fact, you probably won’t), but they will be answers that lead you in the direction of truth and freedom. In South Africa we have an ex Reformed denominational minister who works in the motor trade. He has 3 doctorates in theology and publicly declares he does not believe in Christ as the Son of God. According to him many of his former colleagues feel the same, but they can do nothing about it as it is their bread and butter. Can you imagine what they are teaching their congregations? That is an excellent story. Thank you for sharing it. Very encouraging. Like Brian, I think that statement, “Relax, it wasn’t written for you” is encouraging. Yet then I must point to Paul’s statements in 1 Cor 10:11 and Rom 15:4. Of course, he himself was Jewish, so maybe they were written for him? I just have so many questions!!! I think part of the problem lies in the practice of approaching the Bible as inerrant with a belief that every verse is a nugget of wisdom and hidden meaning and each individual verse is ‘true.’ This causes use to lose sight of the historic divisions of the text (that have nothing to do with chapters and verse), i.e., historical, poetic/wisdom, prophetic. The passage in my story – Numbers 5 – is part of the Law. As such it was never written to any Gentile. Every even nominal Jew knows this. The Gentiles never were and were never meant to be under the Law. Sigh. As to the passages you reference in 1 Corinthians and Romans – it’s true that, as a Jew, those OT verses would have been written to Saul. However, I think Paul looked at the Torah a little different. I don’t believe that when he says those Scriptures are good for instruction, he meant that they should be used as an instruction manual. I think it refers more to the concept that the recorded history of God interacting with man is useful for teaching us about ourselves and about him. I’ll share a couple of quotes – 1 from C S Lewis & One from George MacDonald…. Yes, Jeanette. We have tried to make the Bible many things that it was never intended to be. It was never intended to be God With Us. Those are excellent quotes from Lewis and MacDonald. Do you know by any chance where they can be found? – C.S. Lewis, from a letter written on Nov. 10, 1952 and included in the new book “Yours, Jack: Spiritual Direction from C.S. Lewis. The problem with the idea of Biblical inerrancy is that it establishes its antithesis which is biblical errancy. You are invited to to join one of 2 camps: either you think that the Bible is inerrant or you must believe it is errant. But lets not go there in the first place. The Bible is God-breathed and is profitable for doctrine, reproof, correction, and instruction in righteousness. Some people believe that Jesus rose from the dead because the Bible says it and the Bible is true. NO! The bible is true because Jesus rose from the dead! We are Christians not Biblians. Yes. It is the difference between being instructed about who Jesus is and being introduced to Jesus – knowing about Him versus knowing Him. What you say is true but not what I was saying, which is that all authority has been given to Jesus. Some evangelical groups act as though all authority had been given to the Bible and in order to prove ones ‘saved’ status one must acknowledge this by declaring the Bible inerrant. Catholics do the same but for them the church is inerrant. So to what parts of our modern bible do you think Paul was referring in that verse? Yes, the more and more I think about it, it appears that the question of inerrancy is a false dichotomy set up by 20th century fundamentalist theologians to combat modernism. As that is the dichotomy in which I have lived and studied and taught all my life, it is extremely difficult for me to break out of it and see the Bible for what it truly is. What would you say should have been the proper response to those who want to deconstruct the Bible and say that it is a book full of myths? (Including the birth, life, death, and resurrection of Jesus). 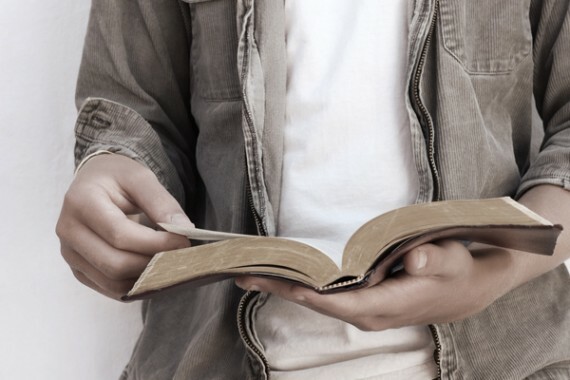 Soon after becoming a Christian, I was given the advice to ‘let the bible interpret itself’. It was probably the most valuable theological advice I’ve had in [ahem, let’s not say how long] … Ever. I see the whole collection of books as an account of the relationship between humanity and God. Commentaries are great, as are archeologic al and ancient history studies. My favorite books are those written by people who could be killed for their faith. They have a sense about the value and reality of God that cuts right through some of the fanciful constructions of those of us whose faith might never cost us much at all. I don’t believe we’ll understand everything written for a different time and people: we have lost some of the knowledge needed to understand some of what was written, knowledge that would have once been assumed and therefore not in need of being included, or stuff that didn’t matter when it was written. I’m convinced that most of this debate about biblical inerrancy and particular interpretations comes from trying to foist our mindset on others and on the text. Evn now, in reading jeremy’s blog, it’s becoming obvious that Australian country-town theology is not normal for everyone else in the world. The other comments on this post have been well worth the read. So thanks to everyone who made the time to comment. I can’t even read my bible anymore. I get too depressed. When I quit listening to preachers and began to study it on my own, I became more depressed and even sick on my stomach with fear and more questions than I have answers to. I’m 62 now and don’t have time to start all over. It has been a lifetime to get where I am now and that’s not in a comforting place. I completely agree seeker of truth. I am 65 and after many many years of searching, the more I read the bible the worse I feel. The awful things that supposedly happened because ‘God told or commanded them to do it’ are even more sickening than events of today where the same excuse is used by people such as extremists and Muslim Isis. I too feel very very sad and almost berieved!